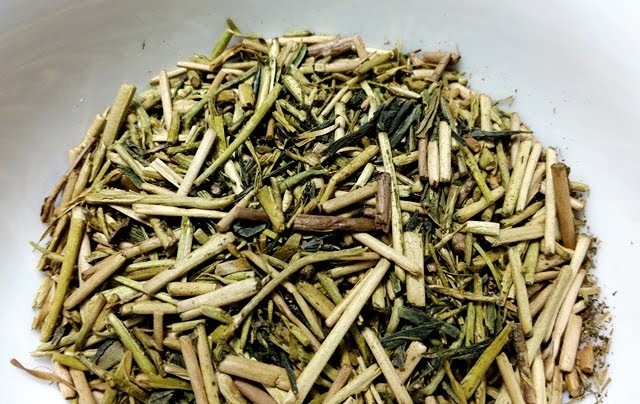 Product Description: This is a hojicha (roasted green tea) made from tea leaves that are picked after the first picking tea leaves are carefully selected and picked. Called “karigane tea” or “stem tea”, this tea includes a lot of tea stems and is characterized by a clean, clear taste. Relish its flavor unique to Tsuchiyama teas. 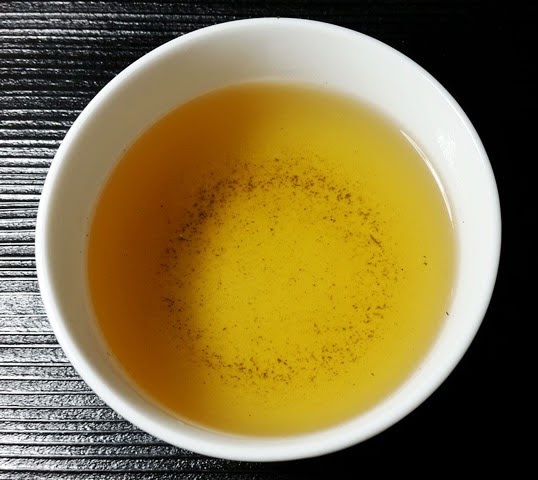 Hojicha utilizes tea leaves that are aged for a year after they are picked. By aging the leaves for a year, the moisture left inside the leaves are uniformly reduced which allows for an even roast that yields a superior quality hojicha. The dry leaves have deeply savory aroma of roasted nori and cocoa. The dark golden infusion has a savory aroma and taste of roasted nori and nut shells with a hint of cocoa. 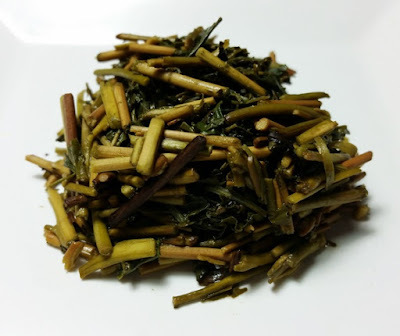 This tea continued to provide a very satisfying full flavor and aroma throughout three infusions, likely due to the generous amount of tea leaves among the stems.